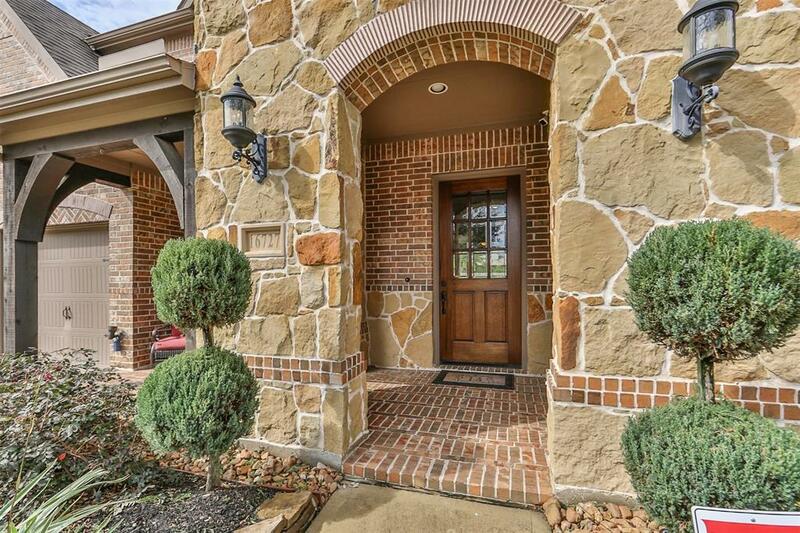 Stunning Highland Home in the popular master planned community of Fairfield! 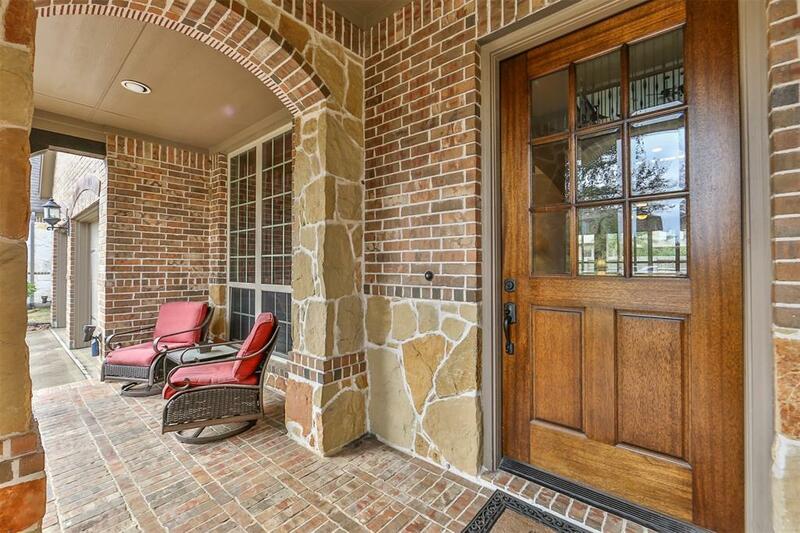 Upgraded Stone and Brick elevation with Covered Front Porch! 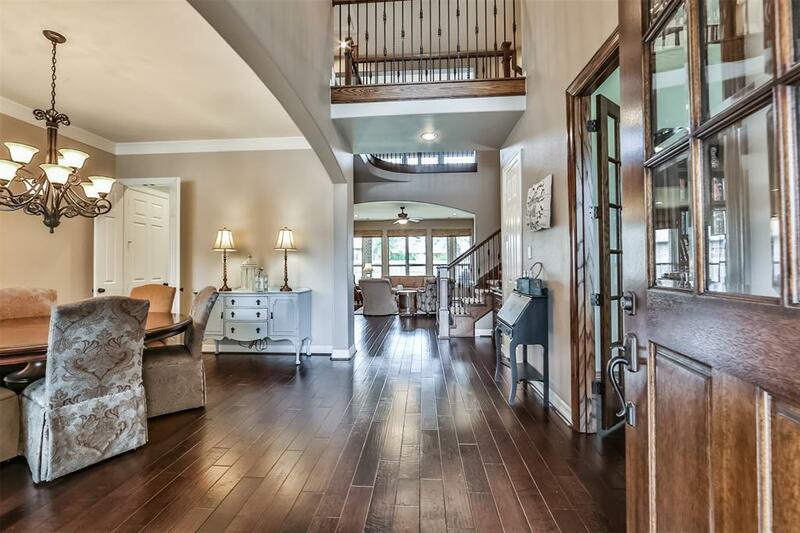 Wide plank hand scraped hardwood flooring int entry hall, study, dining, family room, and kitchen. Wonderful Study with High Ceilings, Double French Doors, Crown Moulding. Grand Formal Dining with Entryway to Kitchen. Wrought Iron Spindles. Stone Fireplace with Raised Hearth. Chef's Kitchen Open to the Family Room. Large Island with Pendant Lighting, Stainless Appliances include Double Ovens, Gas Cook Top. Spacious Breakfast Nook with Cabinets. Recent New Carpet upstairs and in Master Bedroom. Fresh Interior. Master Suite Downstairs. Upstairs Gameroom and Media Room. Bonus Computer or Homework Room outside of the Secondary Bedrooms. Covered Back Patio. Full sprinkler System. 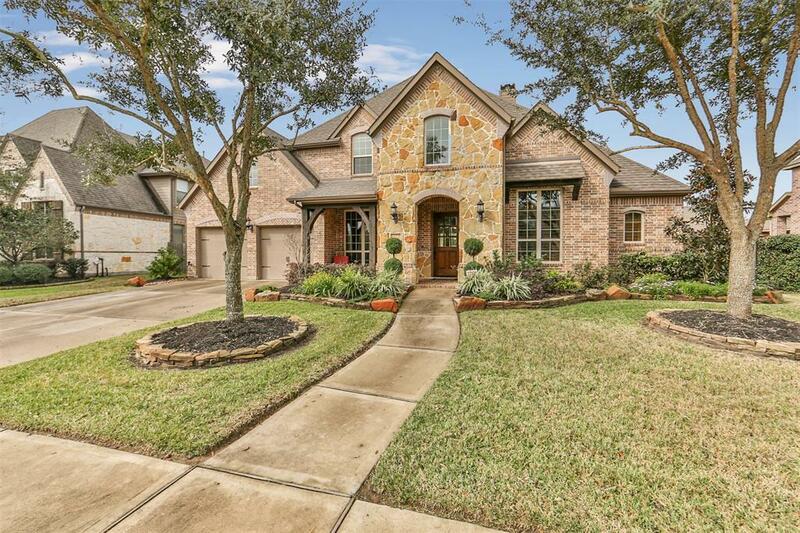 Exceptional Large Back Yard! Pull Down Stairs in 3 Car Garage with Attic Space Above.